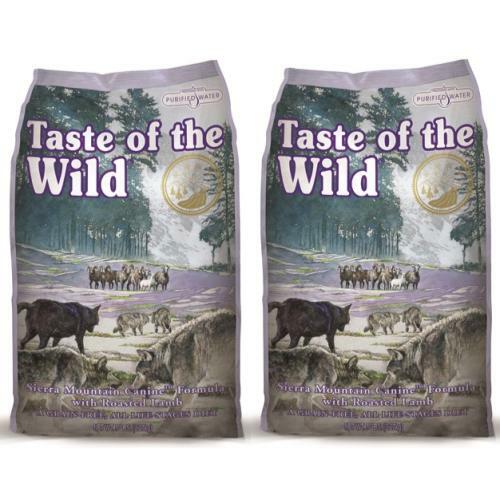 Taste Of The Wild Sierra Mountainis a lamb recipe for all life stages with sweet potatoes and peas provides highly digestible energy for your dog. Made with real roasted lamb, this formula offers a taste sensation like no other. The grain free formula is supplemented with fruits and vegetables, this formula delivers natural antioxidants to help give your friend a healthy lifestyle. Your dog craves a taste of the wild. Go ahead and give him one.